Although long-term remissions are common in patients with hairy cell leukemia (HCL) who are treated with standard therapies, there remains an unmet need for novel agents that can eradicate the disease without excessive myelosuppression, according to Robert J. Kreitman, MD. Kreitman and colleagues have spent more than decade investigating the potential of moxetumomab pasudotox-tdfk (Lumoxiti) in HCL. In September, the FDA approved the drug for treating adults with relapsed or refractory HCL who have received at least 2 prior systemic therapies. In an interview with OncLive, Kreitman discussed key attributes of moxetumomab pasudotox and its potential impact in HCL. 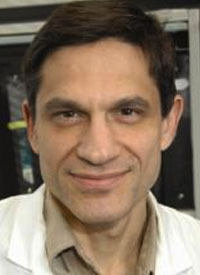 He is a senior investigator in the Laboratory of Molecular Biology and head of the Clinical Immunotherapy Section at the Center for Cancer Research at the National Cancer Institute in Bethesda, Maryland. OncLive: Please explain the mechanism of action of moxetumomab pasudotox. Kreitman: Moxetumomab pasudotox is an engineered protein drug—not a chemical— made up of a fragment of an antibody that binds to CD22 as well as a fragment of a toxin that’s made by Pseudomonas bacteria. This purifies chimeric protein because it’s made up of 2 parts. One part of the drug binds to the hairy cell and allows the drug to go inside the cancer cell, while the bacteria enters the hairy cell and kills it. It does that through the same mechanism that any bacteria uses to kill a cell, so it’s highly potent. When we treat patients with HCL with this drug, we can get complete remissions in those who have not had good responses with chemotherapy and it’s because this is a different mechanism of killing. The ultimate goal of the trial was to achieve complete remission with a resolution of normal blood counts, as blood counts are often low in patients with HCL at baseline. Patients who were minimal residual disease [MRD]–positive achieved complete remissions that lasted a median of 5.9 months, but investigators observed a significantly prolonged median duration of response for those who were MRD-negative by comparison. What is the current prognosis for patients with HCL? While many patients with HCL experience a remission with current treatments, 30% to 40% will relapse 5 to 10 years after their first treatment. With subsequent treatments, durations of response diminish and toxicities accumulate, and few approved treatment options exist. Moxetumomab pasudotox represents a promising nonchemotherapeutic agent for HCL. How do patients tolerate moxetumomab pasudotox? For patients with HCL, this is a very good drug. Patients need to be able to drink plenty of water and plenty of fluids to keep them feeling healthy during the time that they’re getting the drug, but most patients say that this drug is a walk in the park compared with chemotherapy or even rituximab [Rituxan], where there are significant infusion toxicities. We also can use very low doses of dexamethasone, a steroid, to treat fever, which sometimes arises in some patients. Dexamethasone can also be used to treat nausea, which can occur in a minority of patients. So with those tools, it’s actually very easy to administer, and patients tolerate it very well. What they like most about it is that they have complete remission—they have no traces of HCL in most cases, and they can come back to see us very infrequently. We have some patients who come back only every 2 years to be examined and make sure they are still in complete remission, and they don’t need any treatment in the meantime. The complete response rate during the trial was the most meaningful finding. There were 41% of patients who had a complete response rate, and 34% of those patients had MRD-negative complete remission, which means that we couldn’t find any traces of hairy cells using highly sensitive techniques.